The Dubai Court of Appeal has directed a developer to deliver a booked unit to the buyer despite a delay in the payment of the third installment. The court ruled that if a developer receives and accepts part payment for an instalment, this will be considered an approval in principle for extension of the payment period. 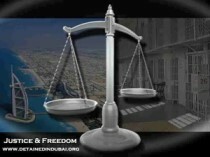 A buyer signed a contract on June 25, 2007, to buy a housing unit for Dh1.3 million – a sum to be paid in six installments. He paid the first and second installments on time, and then paid part of the third installment. When he wanted to pay the remaining part of the third installment, the company accountant refused to accept the payment. The company told the buyer that the purchase agreement was null and void. The buyer transferred the remaining amount via bank remittance to the company’s account, which it received. The court saw the company’s acceptance of the payment as implied acceptance of the continuation of the contract. Before giving the verdict, the Court of First Instance wrote to the Real Estate Regulatory Agency (Rera) to check whether the property was registered. Rera said the contract had not been registered, and the court ruled that the contract was null and void and directed the seller to pay back the money received from the buyer. The two parties to the contract challenged the ruling, based on the fact that the contract was concluded before the issue of Law No13 of 2008. The seller stuck to the annulment of the contract while the buyer, through his agent lawyer Mohammed Abdul Karim, also said it was valid and stuck to it. The court said the company unilaterally annulled the contract without commitment to the steps that should be followed according to the contract – imposing a one per cent interest per each day of payment delay. And if the buyer did not correct his position within 30 days, the seller has the right to annul the contract within 14 days following the first 30 days. The court ruled that the contract shall be implemented and that the company is obliged to pay the litigation and advocacy expenses. Dubai: Two property developers and a real estate promoter have been ordered to repay Dh1.77 million paid in by a couple for a 26th-floor-flat overlooking Dubai’s Business Bay. DUBAI // A property developer has been ordered by the Dubai Real Estate Court to return Dh7.4 million (US$1.38m) on the sale of several apartments to a buyer after failing to register the sale with the Dubai Land Department’s property register. The court ruled the sale null and void yesterday and ordered the developer to pay nine per cent interest to the buyer on the money from the date of the sale last April. The developer must also pay the full court costs. 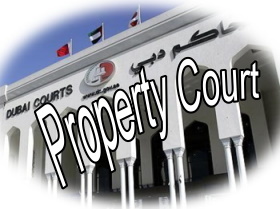 According to a statement issued by the Dubai Courts Department, the ruling is the first of its kind to cancel a property sale since the court was established last August. In his summary, the presiding judge, Omar Miran, said the law stipulates that any transfer of ownership or other property transaction not registered in either the land department’s property register or its preliminary property register is null and void. The law gives developers a 60-day grace period to register all property sales concluded before that date. Failure to do so also renders the sale null and void. The sale in this case was concluded on April 8. The buyer filed his case on Jan 21 this year, asking the court to order the developer to refund the money he had paid for the apartments plus 12 per cent interest.